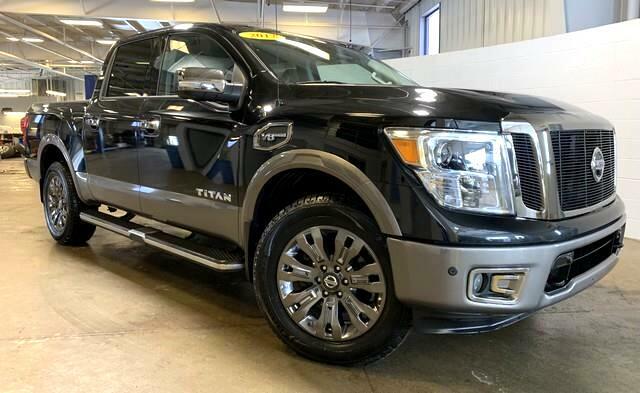 2017 NISSAN TITAN CREWCAB PLATINUM RESERVE 4X4. 5.6L V8, ALLOYS, LEATHER, RUNNING BOARDS, BED LINER, NAVIGATION, BACKUP CAM, ROCKFORD FOSGATE AUDIO, TOW PKG, LOADED! XTAcenter Works indirect with over 20 different Lenders to offer financing for ALL Types of Credit! Rates as low as 1.99%! We have a full Service Center with ASE Certified Technicians and Convenient Service Hours! Each of our Vehicles Go through a Full Safety and Mechanical Inspection that include 3 Month / 3,000 Mile Warranty with Extended Warranties Available! Fill Out Your Credit Application and Get Approved Today! Visit us at www.XTACENTER.COM or Call us today at 616-384-3777 to Confirm Vehicle Availability and Schedule your Test Drive! We Take All Trades! Team Xtreme... Fair, Friendly, Local!